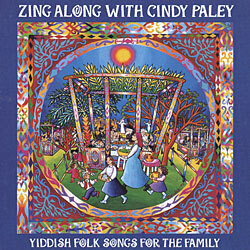 Notes Nineteen gems from the rich treasures of Yiddish folk music. These songs are a precious legacy, whose love of life and warmth of heart are gifts to the next generation. Favorites include: Alle Brider, Oy Mayn Kepele, Bulbes, Tumbalalayke, Oyfn Pripetshik, Di Grine Kuzine.